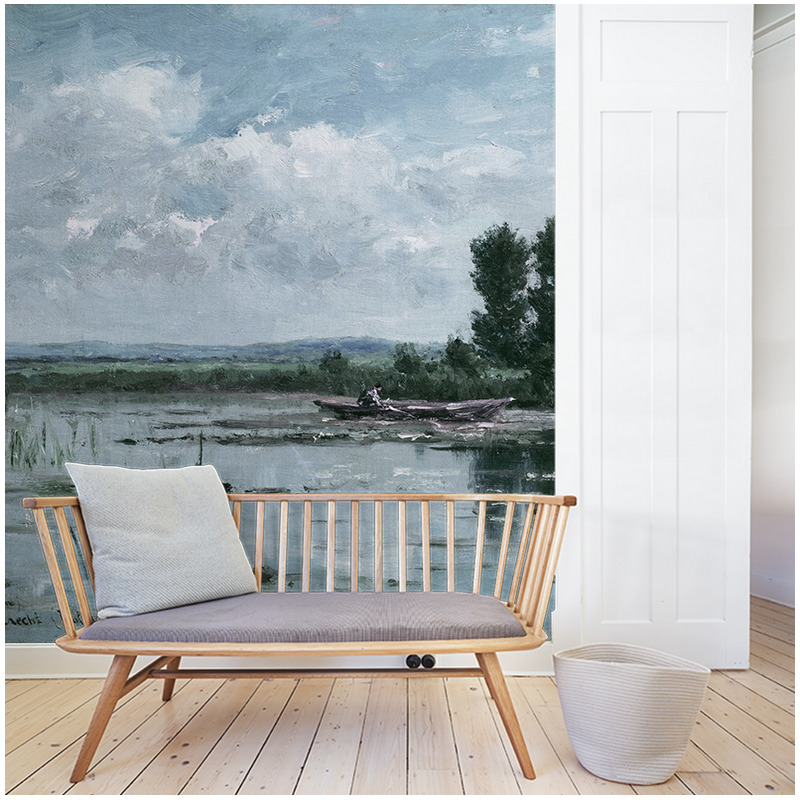 Morning Lake is a custom-sized decor depicting an early morning lake in the Flemish countryside. 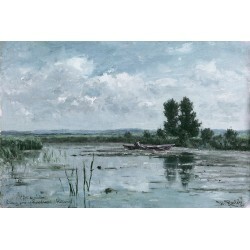 This beautiful decorative panel is an oil painting of a lake in the early morning in the Flemish countryside. The shades of blue and the work of the material plunge us into this moment of awakening at the edge of the water, surrounded by a nature still asleep.